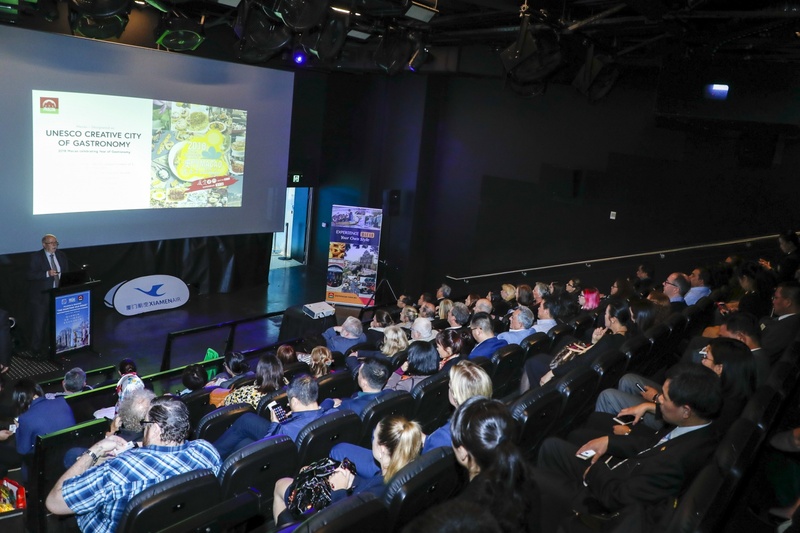 The Macao Government Tourism Office (MGTO) and the Fujian Provincial Tourism Development Commission partnered up to promote their destinations in Melbourne and Sydney from 16 to 18 April, encouraging visitations to Fujian and Macao in one trip through the destinations promotions and dinners held. Riding on the mission, MGTO met with leaders of overseas Chinese organizations in the two cities, as well as ran a “Taste of Macao” pop up restaurant and engaged in dialogues with the Australian Film Institute in Sydney, leveraging different means to showcase the myriad experiences offered by Macao as a travel destination with its gastronomic scene and glamorous events. MGTO Director Maria Helena de Senna Fernandes, Chief of the Hong Kong, Macao and Taiwan Affairs Division of the Fujian Provincial Tourism Development Commission, Huang Zeming, Head of Marketing Division of MGTO, Cora Vong, and representatives of Xiamen Airlines joined the rest of the delegations to roll out collaborative tourism promotions in Melbourne and Sydney, the two famous Australian cities, on 16 and 18 April respectively. 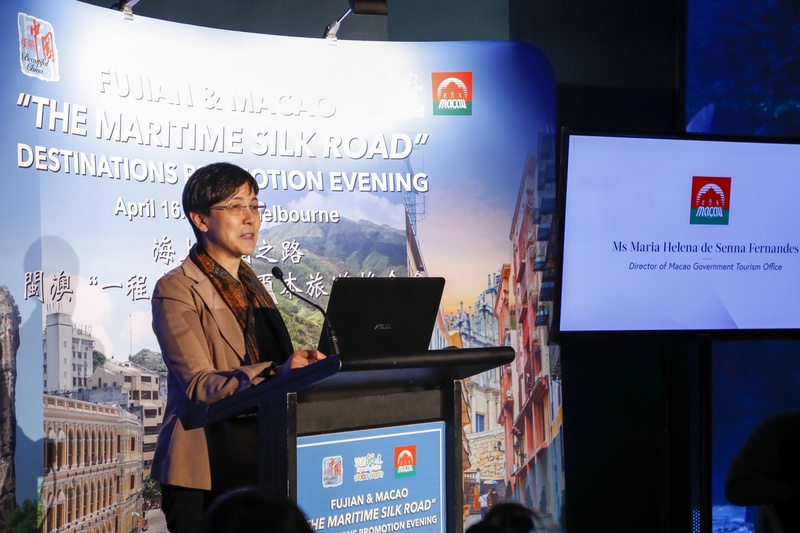 The tourism bodies of Fujian and Macao held the Fujian & Macao “The Maritime Silk Road” Destinations Promotion and Dinner in Melbourne, the cultural capital of Australia, on 16 April. Vice-Consul (Economic and Commercial) of the Consulate-General of the People’s Republic of China in Melbourne, Alex Lu, was invited to address participants in the event. The two tourism bodies updated around 100 local tourism industry operators on the tourism prospects in Fujian Province and Macao, inspiring them to tap into the market potential in promoting travel to both destinations in one trip. A grand lucky draw was held to offer attractive trip packages which include return tickets via the route of Melbourne – Fujian – Macao, five-star-deluxe hotel accommodation in Macao and tickets to the large-scale China show “Monkey King”, taking the travel trade on a journey to experience the diverse tourism resources offered by both destinations themselves. The delegations then headed for the largest city of Australia, Sydney, where they held another Fujian & Macao “The Maritime Silk Road” Destinations Promotion and Dinner on 18 April to showcase the destination glamour of Macao and Fujian to around 90 industry operators, with the hope to attract more Australians to both destinations and boost the mutual gains from this international market. Economic and Commercial Counsellor of the Consulate-General of the People’s Republic of China in Sydney, Wang Hongbo, delivered remarks at the occasion. 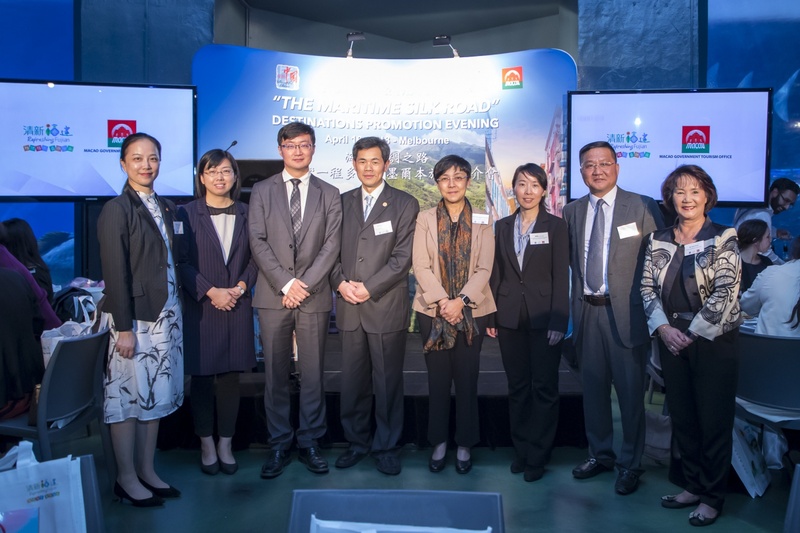 Director of China National Tourist Office (Australia & New Zealand), Luo Weijian, and Director of China Cultural Center in Sydney, Chen Shuang, were also invited to the event. In speaking at the occasion, MGTO Director Maria Helena de Senna Fernandes highlighted that with a close relationship in terms of geographic location, people and culture, Fujian province and Macao have a long and profound friendship, with Fujian being one of Macao’s major collaborative partners in its commitment to the Belt and Road development. Since 2004, the tourism authorities of Fujian and Macao have begun carrying out joint promotions overseas to showcase their multi-destination tourism products. Seeing a myriad of opportunities in outbound travel of Australia, she strongly believes the abundant and diverse tourism resources of Fujian and Macao, together with Xiamen Airlines’ services from Melbourne and Sydney, can help to attract even more Australians to experience the best of both destinations on a single trip. She added that Macao received closed to 90 thousand visitors from Australia last year. Head of the Hong Kong, Macao and Taiwan Affairs Division of the Fujian Provincial Tourism Development Commission, Huang Zeming, expressed that in order to boost the communication and cooperation on tourism among countries along the Maritime Silk Road, it is necessary to improve the influence of the tourism brand. In recent years the Fujian Provincial Tourism Development Commission has promoted multi-destination travel routes to Fujian and Macao together with the Macao Government Tourism Office in countries along the Belt and Road. There are also direct flights between Xiamen and Australia, which can significantly facilitate visitations between the two places, strengthen the relations between the two sides and further promote multi-destination travel to Fujian and Macao. Dedicated to diversifying visitor source markets to Macao, MGTO also fully supports the Country’s Belt and Road Initiative through continuous endeavors to uncover tour routes in new varieties and expand the scope of multi-destination travel in partnership with entities working for regional tourism cooperation. In addition, the Office will join other members of the China Maritime Silk Road Tourism Promotion Alliance to develop new tourism products and leverage the platform given to roll out more destination promotions along the Maritime Silk Road. In addition, MGTO hosted banquets for about 40 leaders of overseas Chinese organizations and chambers of commerce in Melbourne and Sydney on 16 and 17 April. Providing the guests with an update on the latest tourism development in Macao during the banquets, the Office sought to widen the coverage of the promotion effect through their extensive network among overseas Chinese in both cities. Further to the above promotions, MGTO ran a “Taste of Macao” pop up restaurant in Sydney. For five days in a row starting 18 April, the pop up restaurant serves delicacy lovers with complimentary Macao signature delights to highlight the Macao Year of Gastronomy. The kick-off ceremony was officiated by MGTO Director Maria Helena de Senna Fernandes, Australian chef Julian Cincotta, and General Manager (Australia/New Zealand) for the Macao Government Tourism Office, Helen Wong. 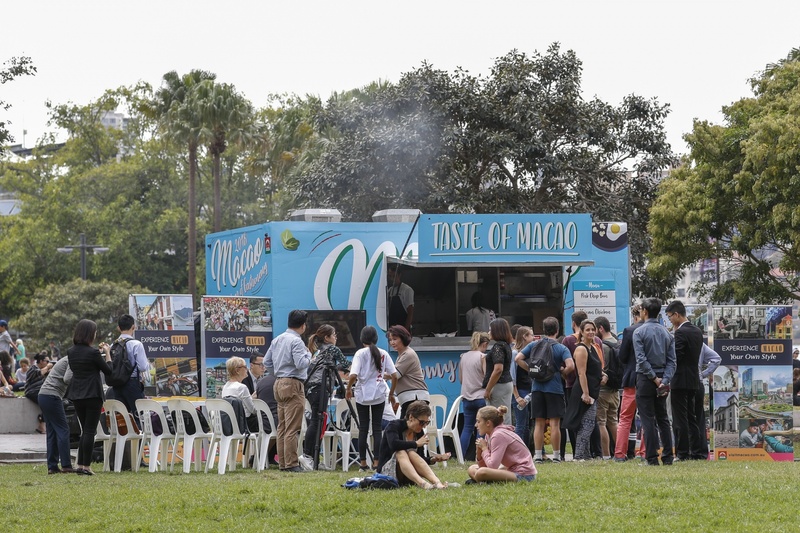 Pedestrians can enjoy a taste of Macao’s Portuguese egg tart, pork chop bun and African chicken prepared by the pop up restaurant at four locations in turn – First Fleet Park at Circular Quay, Henry Deane Plaza at Central Station, Spring Street at Chatswood and Manly Wharf. 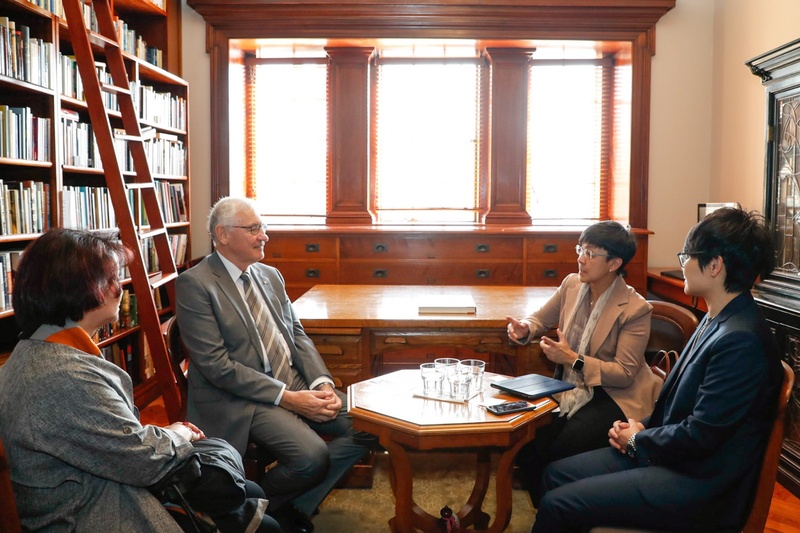 On 19 April, MGTO Director Senna Fernandes and her team met with the Honorable George Souris (former New South Wales Minister for Tourism and Major Events), Board member of the Australian Film Institute. The Institute boasts rich experience in presenting TV and film awards and staging awards ceremonies. MGTO captured the opportunity to introduce the International Film Festival & Awards‧Macao and exchange perspectives on organizing film festivals with the Institute. As a continuum to the previous Australian Film Institute Awards (AFI Awards), the Australian Academy of Cinema and Television Arts Awards (AACTA Awards) is the prestigious annual film and television awards in Australia to recognize prominent talent in filmmaking and acting. To commend outstanding achievements in Asian cinema, the Institute announced last year the inauguration of the AACTA Award for Best Asian Film.